District Court of Coimbatore has released notification for the recruitment of 16 Computer Operator & Xerox Machine Operator posts. Eligible candidates can apply in offline mode from July 24, 2018. The last date to apply for District Court Coimbatore Recruitment 2018 is August 20, 2018. candidates must go through the articles below to know about eligibility criteria, age limit, salary details and other details. The eligibility criteria for the post has been determined by the conducting body on the basis of Educational Qualification and Age. Candidates must have passed 10th Class or SSLC or Matriculation. Must have practical experience for a period of at least 06 months in Operation of Xerograph Machine. The selection of the candidates will be done on the basis of Interview. 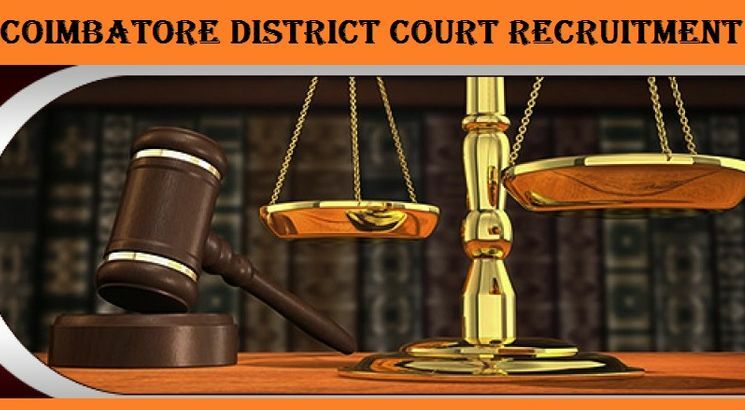 Click on the Coimbatore District Court Offline Application Form provided on the link below. Fill in necessary details asked in District Court Recruitment 2018 Application Form. Paste your recent photograph and attach copies of required documents. Post the application form to address provided in the notification of District Court of Coimbatore Recruitment 2018.